The head of the Adelaide University Chinese Scholars and Students Association threatened his fellow Chinese students at the end of last month for openly disagreeing with socialism and communism during the student union election campaigns, Progress of UofA Party reported. Chinese Students Association (CSA) leader Liu Zihan, also known as Leo Liu, spread a message on WeChat—a popular state-monitored messaging platform in China—saying that a few of his fellow Chinese international students had participated with other students to put up a Progress Party banner that Liu said was “openly against socialism and communism”—the only political viewpoints acceptable in mainland China. As the general secretary of the Chinese Students Association (CSA), Liu’s position includes the responsibility of ensuring that he enforces the local Chinese consulate’s demands—as Chinese students would know. CSAs are unlike other student parties on this regard, and it is common for the selected student leaders to see no issue with their informing the local consulates when their peers step out of line, reported The Epoch Times. Paul Williams, the chief information officer at BlackOps Partners Corporation that provides counterintelligence and protection of trade secrets for Fortune 500 companies, told The Epoch Times that some of these Chinese student leaders are groomed before they leave Communist China. They are reminded, after being taught from a young age, that spying on behalf of the country is a patriotic act. CSSAs act as front organisations for the CCP and take their origin from a “Leninist tactic of strategic alliances,” Anne-Marie Brady, a professor at the University of Canterbury in New Zealand and a global fellow at the Wilson Center, explained in a paper. The CCP is effectively running a spy network through university student associations around the world. But the purpose of the student informants isn’t just to collect information—it’s also to keep track of any individual, teacher, or student, who strays from the party line. In an interview with Foreign Policy, a student member of the CCP’s cell at the University of Illinois said: “After we went back to China, we had one-on-one meetings with our teachers. We talked about ourselves and others’ performance abroad. … We had to talk about whether other students had some anti-party thought,” they said. The Progress Party had since expressed its disapproval of the threats Liu made to his fellow Chinese students who had expressed support for views that dissent from the CCP’s party line. They also accused another student party, the International Voice party, of stealing their campaign banners. Liu is a member of the party. “We won’t tolerant such actions, especially after stealing our banners,” Progress said in a Facebook post. Liu was formerly a part of the Progress Party, but due to an internal conflict, he splintered off to form the International Voice party. 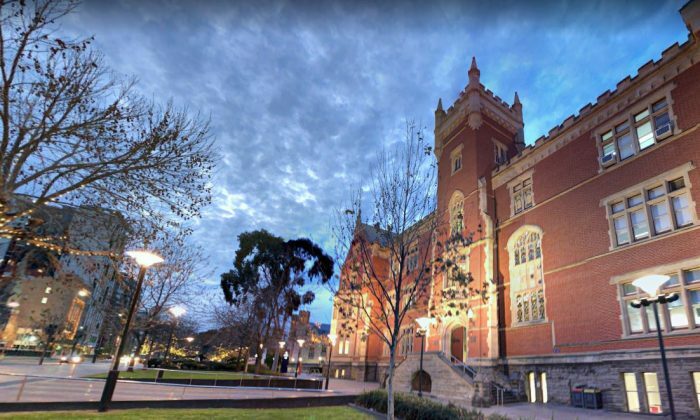 This incident only scratches the surface of the ongoing conflict that has occurred within the Chinese Students Association, The Australian reported. Adelaide University Liberal Club campaigns vice-president Hugh Sutton explained that some CSA members chose to affiliate with the International Voice Party while other with the Progress Party, The Australian reported. Sutton added that he witnessed international Chinese students from the International Voice party using “threatening and intimidating behaviour” during the election campaign to win votes. Leader of the Australian Conservatives Party Senator Cory Bernardi commented on the incident after “frightened” international students contacted him about being reported to the Chinese embassy in Canberra. He said that these “Stasi style tactics” need to be “stamped out,” and that any tactics of this kind are a sign that an “oppressive regime” is “reshaping Australian life,” referring to the secret police of the East German Communist government that would spy, survey, and collect information on family, friends, colleagues, and neighbours. Bernardi also raised concern for the Chinese students who were reported to the embassy.